Heat oil over a medium flame, add garlic, and saute until just brown. Wilt down the spinach and transfer to a cutting board. Let it cool slightly, and chop it up! Reduce the heat to medium low. Whisk the eggs, milk and salt and pepper together and pour into the pan. Working slowly with a spatula, push the eggs around the pan until they begin to set. 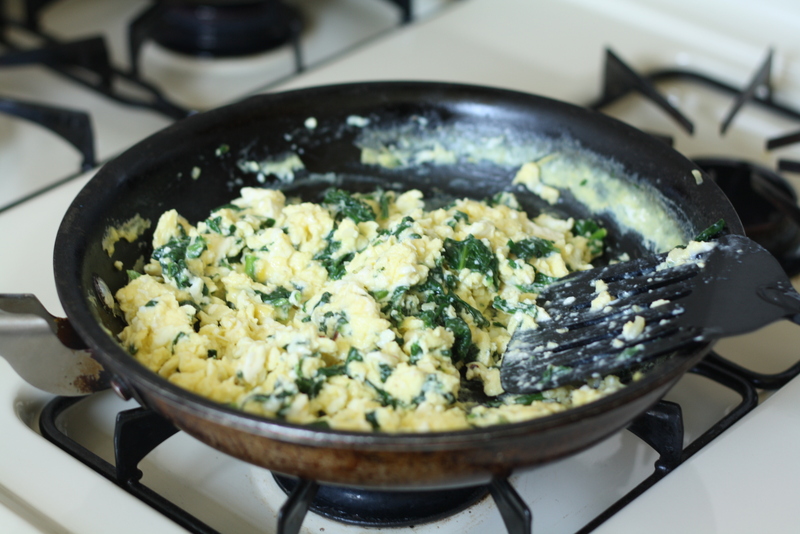 When they are beginning to look scrambled, add back the spinach, and the feta and combine until the cheese is just melting. 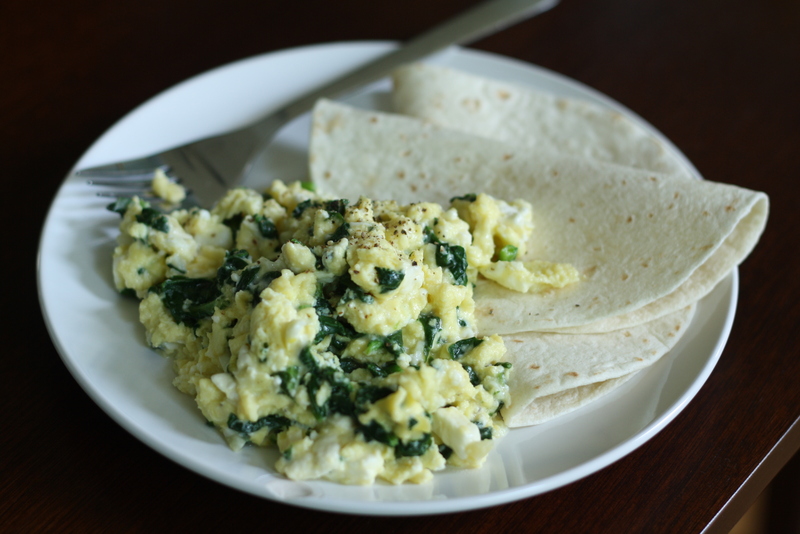 Put it on a plate, put it in your mouth, and watch your hangover disappear.